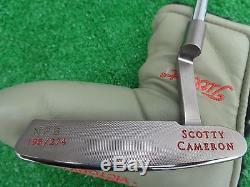 Scotty Cameron 2001 British Open Victory Newport Beach David Duval Limited Putter. 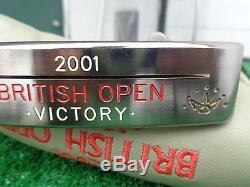 This putter was made to the exact specs of David Duval's putter he won the 2001 British Open with. 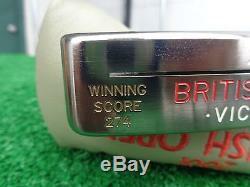 This putter was a very limited release with only 274 being made. 274 was the combined stroke total that Duval won the tournament with. This is the 198 of the 274. 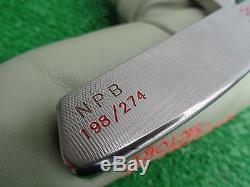 This putter is the Newport Beach which describes the head shape and the slot in cut through the sole, which gives the putter a unquie sound and feel. 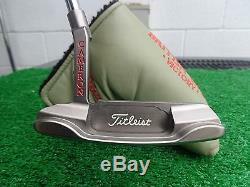 This putter features Cameron's rare "black star finish" which is the super durable Pro Platinum finish on soft carbon steel. 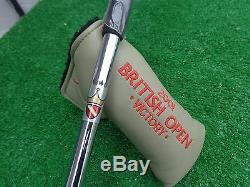 This putter comes with the matching 2001 British Open Victory head cover, and black Studio Design Putter grip still in original plastic. 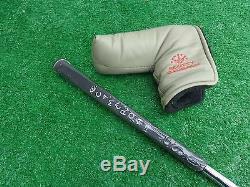 This putter has never touched a ball or a green!! 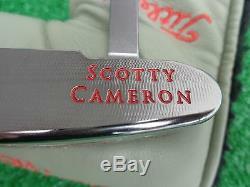 This is one of the best looking Camweron's I have ever seen. 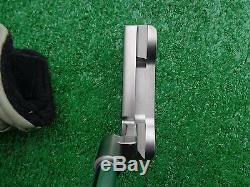 This putter is a perfect fit for any player and/or collector. We Golf Mart in Paducah KY and Shopgolfmart on the web, if you have any questions please let us know. 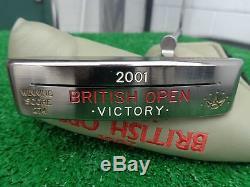 The item "Scotty Cameron 2001 British Open Victory Newport Beach David Duval LTD Putter" is in sale since Tuesday, March 29, 2016.